Singapore Airlines has announced that it will be creating a brand new low-fares airline operating wide-body aircraft on medium and long-haul routes within the next 12 months. It’s a welcome boost not only for passengers seeking cheaper travel but also crew seeking employment. The proposed new airline will be wholly owned by Singapore Airlines but will be operated independently and managed separately from SIA, the carrier says. 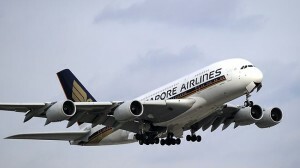 Singapore Airlines says more details of the airline, including its management team, branding and route network will be announced in due course. The company already has a stake in Singapore-based budget carrier Tiger Airways and owns regional carrier SilkAir. The move is seen a a potential trigger for a battle for Asian long-haul budget passengers as there already exists competition with Kuala Lumpur-based AirAsia X and Australia’s Jetstar, owned by Qantas. “We remain fully committed to the further growth of SIA, which will continue to offer the highest-quality products and services to our customers,” Chief Executive Goh Choon Phong said in a statement. Clearly such expansion can only bode well for the air crew jobs market.